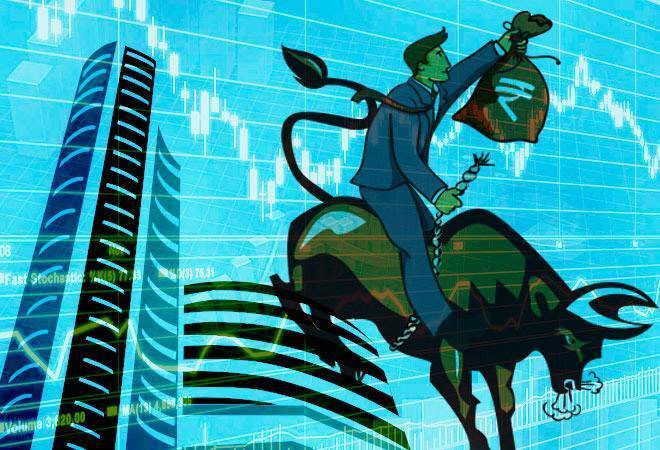 Indian benchmark indices NSE Nifty index hit a new record high and Sensex gained 200 points on Tuesday following impressive domestic data and IMD's monsoon forecast. The S&P BSE Sensex rose as much as 310.86 points to 39,216.70, and the NSE Nifty jumped 77.65 points to an all-time high of 11,768.00. The Market breadth, indicating the overall strength of the market, was positive. Overall 26 stocks were advancing out of 30 stocks on Sensex and 39 stocks were trading in the green on the NSE Nifty index. BSE Midcap and BSE Smallcap rose in line with benchmark Sensex, up 0.27 per cent and 0.40 per cent, respectively. On the BSE sectoral front, except for realty, all other sectors remained positive with BSE Energy being the biggest sectoral gainer. On the Nifty, all sectoral indices were trading in green with Nifty Metal gaining the most, followed by the banking indices and Nifty Pharma. Top gainers in the opening session were M&M, HeroMotoCo, Asian Paints, ICICI Bank, Indian Oil, Coal India and Vedanta, while Infosys, Tata Steel, Tata Motors, HUL, and HDFC Bank were among the top losers. The BSE Sensex was trading up at 270 points at 39,176, while the broader NSE Nifty50 was up 72 points at 11,762 level at 9:50 am.